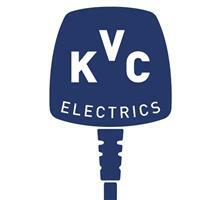 KVC Electrics - Electrician, PAT Testing based in Exeter, Devon. I have been in the electrical and construction industry since 1992 and became a qualified electrician in 1995. I have been employed by electrical companies and became self-employed as a sole trader in 2005. I have worked in domestic and commercial sites and I really enjoy my work and have a good rapport with the customers I meet. I am a sociable person with a strong work ethic, I am reliable and on time. I undertake electrical testing, PAT testing, fuse board consumer units, all types of lighting, all types of heating, fit smoke detectors, cookers, showers, sockets, and re-wires.